With grain prices soaring, Guy Odri, chief executive of French poultry giant Groupe Doux, has urged domestic retailers to raise prices. Any public disagreement on price between supplier and retailer is rare but, speaking to Dean Best this week, Odri explained why the time had come for poultry processors to demand help in absorbing the rising cost of cereals. Ajinomoto has defended aspartame, the artificial sweetener of which the Japan-based food group is the largest supplier, and questioned the potential of natural sweetener stevia. France's food sector is "a strategic industry" for the country's economy, its agriculture minister claimed today (20 October) amid plans to change how the nation's food is marketed abroad. The SIAL exhibition was still quiet an hour after the doors opened at 08:30 this morning - a clear sign that the strikes are affecting people's journeys into the show - but it provided just-food an opportunity to talk to a rare exhibitor at a food-industry event - a 'green' company. 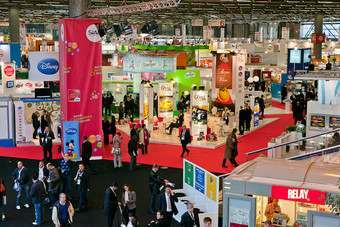 The benefit of exhibiting at trade fairs, particularly in times of economic strife, is open to debate but, as this year's SIAL event kicked off in Paris today (17 October), there was a consensus that this is a show that still has a vital place on the food-industry calendar. Switzerland-based food maker Hero Group is to open a jam production factory west of Zurich next year. SIAL, that giant biennial food-industry exhibition, opens its doors on Sunday (17 October) - as much of France seemingly shuts down amid nationwide demonstrations.